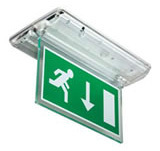 The EDS light is a general purpose, double-sided interior emergency escape route sign, with the added advantage of being able to take a full size escape route legend. These are ideal for healthy and safety purposes. 240V. 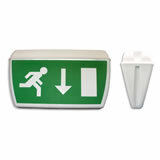 Emergency Exit Sign with 3 hours emergency light output. 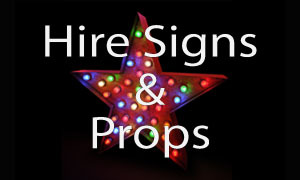 Includes acrylic legends, 8W T5 fluorescent tube, rechargeable battery pack and LED charge indicator. Maintained, but easily converts to non-maintained if required. These are ideal for healthy and safety purposes. A Weatherproof IP65 ceiling mounted exit sign. 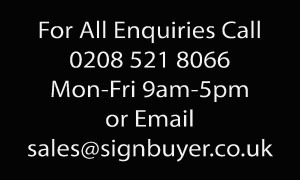 The ESP provides you with a single or double sided exit sign made from white polycarbonate suitable for any external applications. These are ideal for healthy and safety purposes. 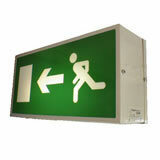 This new LED fire exit sign uses high illumination green LEDs in a small compact shell. Due to its low energy demand and the life span of the LEDs and batteries, this unit is exceptionally economical over its life. These are ideal for health and safety purposes. The TPX light is an attractive low profile, versatile emergency luminaire suitable for internal environments. Comprising of a moulded polycarbonate base and fitted with a clear flame retardant diffuser. 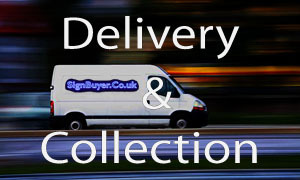 The TPX also offers an edge-lit hanging sign which has a viewing distance of 32 metres. These are ideal for healthy and safety purposes.